Setup of the site is almost complete. I'll let my wife have the final say on colors and layout as that is not my particular forte, but the domain name is secure, I have the same name for my Twitter, Pinterest, Goodreads etc. so any reviews should be geared for maximum exposure and feedback. Nerys Parry has agreed to be the first official author interview so that is exciting! I will also likely ask Denise Chong and Ruth Walker as they have some exposure to the group through the Ottawa Book Club. I was let go from my sales position at a large pharmaceutical company back in October of 2012. For the first time in my life, I found myself unemployed. Feeling a little "rudderless," I decided to try and find a local book club to occupy some of my spare time and further my love of books and reading while I looked for work. After much looking online, I decided there was no club in Ottawa that reflected my particular reading style, so thought it worthwhile to start my own. Other clubs sometimes had only one person deciding on the books and the locations, etc. I wanted a club that was more collaborative and that would also take me out of my comfort zone and get me reading books I would otherwise likely never even pick off the shelf. Thus, The Ottawa Book Club was born through the excellent www.meetup.com website. I was pleasantly surprised with how quickly the club became popular. We even got some coverage and a shout out from an article in the Ottawa website www.apt613.com. A journalist named Alejandro Bustos gave us a mention in his article last February, "Tour de Blogosphere: BloggingBookworms" which helped to bump membership a bit. We're currently up to about 75 members and we haven't even hit our one year anniversary yet! But as seems to happen with these groups, even with 75 members we seem to get the same core group of 12-15 people that show up and take an active interest in the group each month. It's been a great group and the core members are true book geeks and great people. So why the blog? Well, who was it that said "if you do what you LOVE for a living, you'll never work a day in your life"? 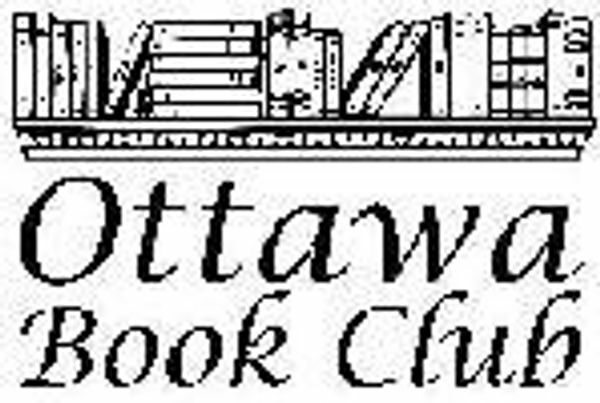 I've been reviewing and rating books with the Ottawa Book Club since October 2012. Through a friend of my wife, I found that in my network of friends (and friends of friends), was a lady named Charlene Martel. Charlene is a fellow book geek who has built her love of reading into a solid reputation as an honest and trustworthy independent book reviewer who has even had some of her reviews make it into the book jacket listing of some published editions. Her website is www.theliteraryword.com. Charlene was kind enough to meet with me and tell me what she does, how she does it, and how someone like myself might make a go of book reviewing for the pure joy of reading and the love of the book. Thus "Smell The Book" was born. (True book lovers need no explanation of this title, but one can be found on the blog main page if needed.) Charlene was a goldmine of information on the best way to capitalize on my knowledge of the Internet and social networking, and my love of reading and books, to turn it into something that I hope one day approaches the reputation and the contacts she has built for herself. Thanks Charlene! So.. What is my goal? My "mission statement"? I plan to read as much of the accepted genres as I can while the rest of life tries to get in the way. I hope to post reviews of past and future books that fellow book lovers will find accurate, relevant, and maybe help then decide what to read next or what to avoid. I hope to build up my list of publishers, publicists, authors and fellow book-geeks and maybe pay forward some of what was given to me. I also hope to meet and get interviews with local authors and post these on the site as well. Feedback is welcome, and encouraged.